Kenya’s President, Uhuru Muigai Kenyatta has received a proposal from a Nanyuki woman who wants any of Uhuru’s sons to marry her daughter when she turns 18 years. 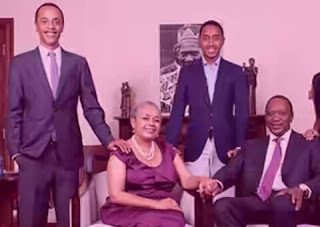 Margaret karimi is willing to offer Stefanie, her daughter, who she describes as ‘bright and smart’ to the first family because she thinks that she is the right lady for president Uhuru’s sons. This comes at a few months after a lawyer from Nandi county offered POTUS barrack Obama 50 heads of cattle in exchange of her daughter, Malia Obama who is 16 years of age. I wouldn’t mind if one of his boys marries my daughter, I will be happy if that happens. I want her to have a bright future and I am confident the first family will give her exactly that. I once suspect my daughter had joined a cult after she started behaving strangely that s why I want uhuru to treat her like one of his.